Dr. Bullman grew up in Forest City, and is a graduate of RS Central High School. She then attended Clemson University, where she earned a Bachelors Degree and Masters Degree in Animal Science. Dr. Bullman continued her education at Mississippi State University, College of Veterinary Medicine, and completed a Doctorate of Veterinary Medicine in May of 2014. 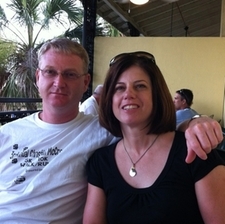 She and her husband, Brent, have one son, Callahan, and enjoy spending time outdoors with their three dogs. She is excited to be back home and serving a community she knows and loves. 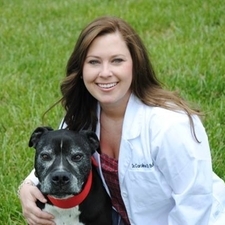 Dr. Jill is a 1993 Graduate of North Carolina State University College of Veterinary Medicine. Dr. Jill is skilled in internal medicine, soft tissue surgery and dentistry. She is an advocate for preventative health care and early diagnosis of health problems. She enjoys working with behavior cases, skin, ear and allergy problems, and all other needs your pet may have. She has a soft spot for cats, Jack Russell Terriers and Dachshunds. 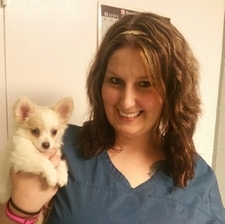 ​Whitney is one of our full time veterinary assistants. She has been a part of the TCAC family since September 2014. She and her husband, Tyler, are expecting their first child, Macy, in late September. They also have one adored fur baby, Lincoln. Heather is one of our full time veterinary assistants, and has been a part of the TCAC family since 2010. She and her two children, Jake and Tristen, live in Rutherfordton with their 2 dogs and 2 cats. Suzanne is one of our full-time veterinary assistants. She received a BS degree in Animal Science with a minor in Poultry Science from North Carolina State University. Go Wolfpack! She hopes to become a veterinarian one day. She has a passion for both large and small animals. She owns a sweet Australian Cattle dog named Jaxie. 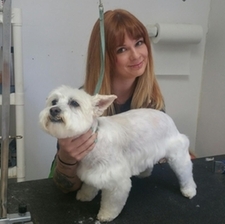 Kelly is our full time groomer and kennel manager. She has been with the TCAC family for 2 years, and has been professionally grooming cats and dogs for a total of 11 years. Her goal is to provide beautiful and functional haircuts for your pet and pet parents in a safe, professional and stress-free environment. Hayden is one of our part-time kennel assistants. She is currently attending Chase High School and will graduate in 2017. Hayden loves caring for animals, attending concerts, and being outdoors. Chase is one of our part-time kennel assistants. He is currently attending Isothermal Community College working on his Associate Arts degree. He has been a part of the TCAC family since 2015. He loves working with animals and lives at home with his 2 dogs and 2 cats. Thomas is one of our part-time kennel assistants. He is currently attending Isothermal Community College to earn his Associate of Science Degree in Criminal Justice, with plans to graduate in 2017. He then wishes to take Basic Law Enforcement training to become a police officer for Rutherford County. Thomas has two dogs of his own at home, Odin and Boaz. He loves animals and has been a part of the TCAC family since 2015. Chips is one of our fur babies who resides at our clinic. She has been a part of our family for several years and we love her so much. You can typically find her lying in the front office greeting our clients. Kitty is another one of our fur babies who lives at our clinic. She has been a part of our family for years! You can always find her sleeping on our receptionist's desk.